We had a wonderful visit with Alex from the StyleBlueprint team last week! From milking with Suze, to soap making with James, they captured the alchemy that happens every day at Little Seed, turning grass into suds. Click here for their special behind the scenes tour and interview! The easy peasy, pure & soothing baby powder I made last night. It's official, I'm "nesting"! I've entered this interesting stage in my pregnancy, the final stretch, where all I can think about and all I want to do is prepare for our baby's arrival. While with most women this stage involves massive amounts of cleaning, for me (unfortunately for James) it means an obsessive unending stream of creative projects! They range from the borderline absurd (see modernist infant visual stimulation cards above) to the useful and enjoyable - a mobile and goat art (duh) for the nursery, flannel burp cloths and wipes, a ring sling for babywearing, and natural baby skincare. 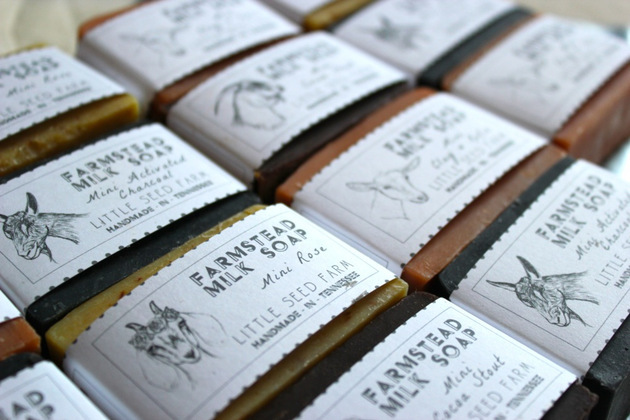 We plan on using our Farmstead Milk Soap when bathing our babe after lots of great feedback from happy parent customers (apparently it also removes poop and puke stains from fabric - good to know! ), but hadn't thought much about other baby care products until recently. After some research, I decided to add baby powder and a diaper cream to my project list. A few expert agencies have evaluated the cancer-causing nature of talc. The International Agency for Research on Cancer (IARC) is part of the World Health Organization (WHO). Its major goal is to identify causes of cancer. IARC classifies talc that contains asbestos as "carcinogenic to humans". Based on the lack of data from human studies and on limited data in lab animal studies, IARC classifies talc notcontaining asbestos as "not classifiable as to carcinogenicity in humans". 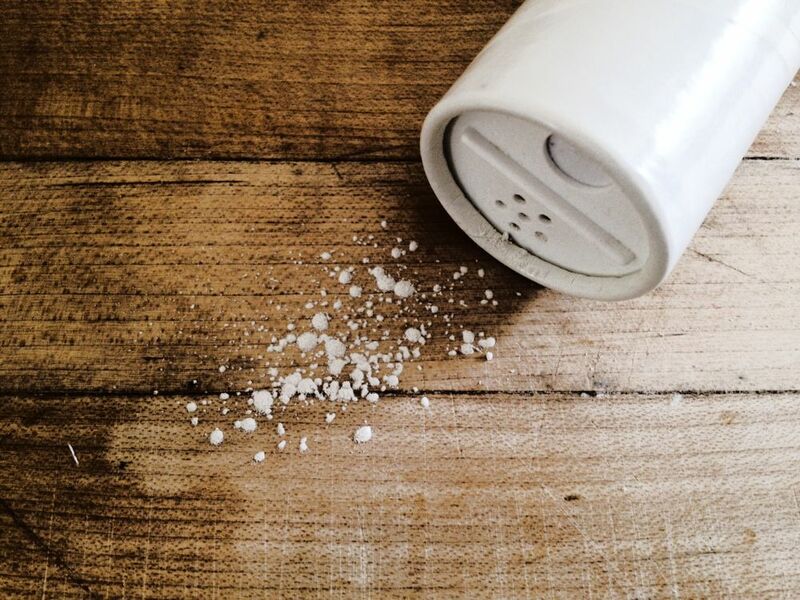 Based on limited evidence from human studies, IARC classifies the perineal (genital) use of talc-based body powder as "possibly carcinogenic to humans". Until more information is available, people concerned about using talcum powder may want to avoid or limit their use of consumer products that contain it. For example, they may want to consider using cornstarch-based cosmetic products instead. There is no evidence at this time linking cornstarch powders with any form of cancer. made me think that it might not be a bad idea to look into alternatives. As for cornstarch, it's a great talc replacement as long as your baby doesn't develop a yeast diaper rash (apparently relatively common) in which case you're actually feeding the yeast with the corn starch. Also, the majority of corn starch used in baby powders are going to be from corn that was conventionally grown with pesticide use and is genetically modified. Enter healing clay! Bentonite is a clay formed from the weathering of volcanic ash and is rich in minerals. It is silky smooth and non irritating as well as highly absorbent. It is purported to aid in healing all sorts of skin ailments - everything from acne to eczema - including diaper rash. This couldn't be a faster or easier project! You can use the bentonite clay powder straight up as is, or you can infuse it with essential oils**. Simply put your clay into a ceramic or glass mixing bowl, disperse the essential oil over the surface of the powder and mix with a spoon until thoroughly incorporated. Once mixed you can put into a powder shaker and you're ready to go! You can easily make your own container by drilling holes into the lid of a vitamin bottle, or repurpose an empty spice jar. This powder isn't just for babies! You can use it as a dry shampoo or body powder to keep dry on these sticky summer days. Hope you and your little one enjoy! 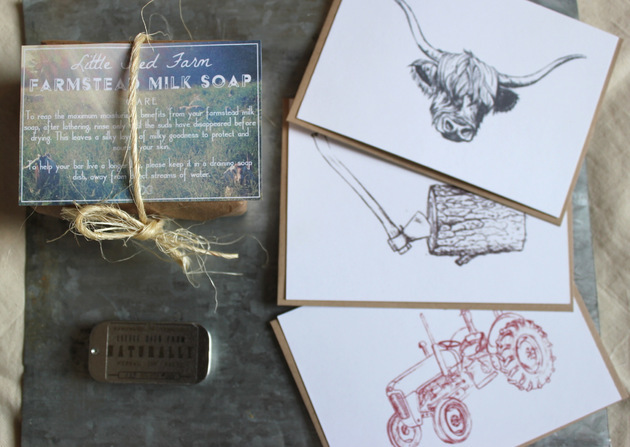 We're very excited to share some new farmstead goodies being released in our Shop today! After our first release and a successful holiday season with our original Farmstead Milk Soap collection of Milk, Oat, and Lavender, we decided to expand our horizons with 4 new soaps for Valentine's day. We thought it could be the perfect time to play around with some fun ideas we'd be having (like local beer in soap), so for a few months we locked ourselves in the "soap cave". We experimented and tested (on ourselves and friends - no animal testing here!) until we emerged with these four new soaps that we love and that will hopefully make some people smile this Valentine's day. 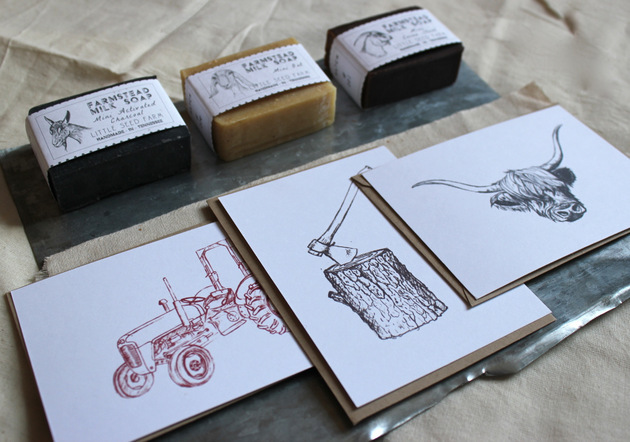 You can read more about our Activated Charcoal, Clay & Kefir, Cocoa Stout, and Rose bars here! For sometime we've been getting lots of requests for a lip balm, but wanted to wait until we had something really special. We had starting making our own salves this past summer and have enjoyed using them on sore muscles and scrapes this fall and winter. Eureka! Why not make a lip salve? We started infusing different oils and nut butters with the calendula and comfrey we had grown in our gardens (following organic practices). Both are known for their extraordinary abilities to soothe and heal and have proven to be the perfect match for the blend certified organic oils and butters we use to craft the salve. They're available in Naturally (unscented), Geranium Rose, Lavender, and Wildwood. Check them out and let us know what you think! At Little Seed Farm, we craft organic soap and skincare designed to nourish and rejuvenate your skin while also being gentle on the environment. Our products are sustainably produced on the farm using solar energy with only the most effective, high quality natural ingredients.